Every Thursday our kitchen prepares 100% grassfed burgers for half price! 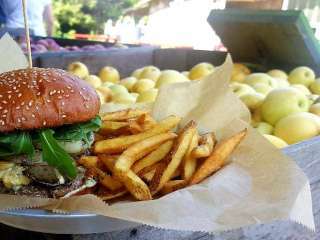 What a great opportunity to come visit the farm and enjoy a delicious, juicy burger cooked to perfection. Kitchen hours are from 11am-4pm. Come on out y’all!